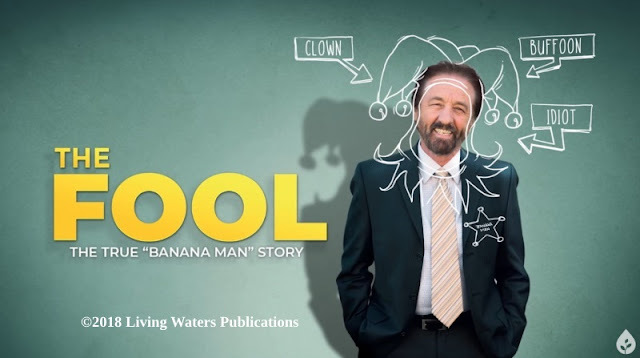 Obtaining and reviewing The Fool by Ray Comfort/Living Waters has been a goat rodeo for me. I knew it was going to be released, and one of the web sites indicated February 2019, so I passed. Later, I checked again and saw that the release date been moved out. I purchased the video downloads to help the ministry and see them (the second being "The Angry Atheist") in advance. However, I wanted my review to coincide with the release of The Fool, so I contacted Living Waters. The fellow I spoke with did not know, but his supervisor believed it would be released two weeks after Easter. Nope. Looks like it was released to YouTube at midnight their time on Sunday, April 21. So I moved this review to almost the top of my priority list. New Zealand native Ray Comfort has been an evangelist for years. He is a "walk the talk" guy, living what he says. Mr Comfort is involved in street preaching , and sometimes people get mighty hostile. His autobiography, Out of the Comfort Zone, includes descriptions of how he was not only preaching the gospel but giving food and care to people in the extremely dangerous MacArthur Park area of Los Angeles, California. In the early days, Ray was promoting "Hell's Best Kept Secret" and "True and False Conversion" (which are still very important resources). You may want to watch this short documentary from around 2011 for some interesting information. Things began to move from a trot to a canter when he teamed up with Kirk Cameron and working on "The Way of the Master", which includes biblical evangelism courses. However, his ministry began to gallop because of misrepresentations by atheists. Mr. Comfort tries to be friendly to atheists, but they get on the prod when confronted by the truth of the gospel. They get even angrier when evolution (a foundation for their religion) is challenged — which is something I've experienced with Question Evolution Day and other activities. Ray speaks to atheists and has had formal debates with them. This is rare, because atheists and evolutionists are seldom willing to engage in debates or intelligent discussions with biblical Christians and creationists. Ridicule and trying to silence us, yes. Civil discussion, not so much. Ray has the moniker of "Banana Man" and has been called a fool because of a parody that he made using bananas and a soda can as props. Let me interrupt myself for a moment. Comfort said that atheists don't think their beliefs are ridiculous and worthy of ridicule, but I disagree on that small point. From my observations, atheists and evolutionists in general are exceptionally proud and cannot take a joke, but are more than willing to ridicule others, even when they know their attacks are blatant misrepresentations. This is ironic because their claims to owning "reason" because of atheism and that people of faith are irrational are highly fallacious. I've discussed that elsewhere, so no need to saddle up that one just now. Scene changes are often shown with bananas. Unlike many atheists, Mr. Comfort appropriated an object of ridicule that is used against him. Meanwhile, atheists deliberately misrepresented Ray and the parody mentioned earlier for ridicule purposes. (I keep bringing up ridicule because people like that are in rebellion to their Creator; atheism and origins are not intellectual, they are spiritual problems. They are suppressing the truth in unrighteousness, as seen in Romans 1:18-22. If it were a question of intellect, everyone would be Christians. Indeed, they would be biblical creationists.) A tremendous irony of the Banana Man mockery is that atheists were allowing the gospel message to be shared. As indicated in other posts here, atheists don't trust each other, and will even become angry when their comrades show civility to Christians. For fun, count the times Ray had a gaffe and said, "Then I forgot about it". Several things were used to attack him, but atheists and other anti-creationists don't seem to understand that ad hominem attacks, mockery, straw man arguments, and the many other fallacies they use not only show that they do not have a firm grasp of reason, but such things do not make atheism and evolution less false. God exists, and we will all have to stand before him. Logic, reason, and evidence are on our side. Publicity from haters. All because of Banana Man. I found some encouragement in this movie, and there were a couple of quotes that stood out for me: "In the Bible, God often uses what seem like disasters and failures and uses them for his purposes". In that case, the Banana Man label opened doors for Mr. Comfort and his ministries to gain a larger audience. Also, "God delights in taking that which is a seeming failure and making it a success". This reminds me of what Joseph said to his brothers in Genesis 50:20. My own online ministry efforts stirred up criminal cyberstalkers and even a libelous hit piece at (ir)RationalWiki, as well as an attack by an atheist who is an internet celebrity. All of these are pretty much unknown in most of the real world, so mayhaps I don't have the right haters. (I was even scorned for my musical preferences, as if that was helpful for atheism.) Like Ray's experiences, the things I've endured have occasionally left me bruised, but I know that God has his purposes. I keep on going to give God the glory, spread the truth, and provide information to equip the saints to stand up for the authority of God's Word. Materialists and professing Christians who compromise on the Word of God think they are wise. Not hardly! The wisdom of the world is foolishness (1 Cor. 1:21, Psalm 14:1), and our spiritual weapons pull down fortresses raised against the knowledge of God (2 Cor. 10:3-4). True wisdom comes from God (Prov. 1:7, 2 Peter 3:18, Prov. 3:13-14, Psalm 104:24). We must spend time in the Bible and get solid biblical teaching so we can be properly handle the truth (2 Tim. 2:15). I hope you will see The Fool. It takes just over an hour and has far more material than I presented here, and I reckon that unbelievers and Christians can benefit from seeing it. You can get there from here. The trailer is below if you want it. No, I don't have the book yet. In an evolutionary worldview, the death of Jesus on the cross is nonsensical. His bodily resurrection is unthinkable. According to materialists, this life is all there is, and it has no meaning, no hope for future justice, and when you die, you're worm food. Did you remember to pass along your selfish genes first? What a depressing way to live. In reality, atheism is incoherent. Only the biblical Christian worldview — beginning from the first verse of the Bible — consistently makes sense of human experience. We have joy and pain, life and death, and all kinds of experiences. Our Creator took human form. He lived a sinless life, died on the cross, and bodily rose from the dead. He did this out of love. The wisdom of the worldly wise is frustrated by the wisdom of God. No one wants to live in a world where evil is ignored, or worse still, approved. Everyone yearns for justice when they have been mocked, insulted, betrayed or abused. Who has not rebelled when they have been treated like an animal or a thing? We have a deep desire for our wrongs to be put right, for our suffering to have meaning. The cross of Christ answers our human need. In Jesus’ Passion we discover that behind the universe is a God who treats every person with immeasurable value, who cares about justice. To read the entire article, click on "Genesis and the Cross". People who have followed the origins controversy have probably heard the term living fossil, originally used by Charles Darwin. This term essentially means that something living shows no appreciable change over millions of Darwin years. Wallace's Giant Bee is an ironic contribution. This bee was made famous by Alfred Russell Wallace, a friendly rival of Charles Darwin, when Wallace was in Indonesia. It was thought extinct since 1981, but was found again recently. Nice when that happens. However, it also prompts evolutionists to come up with Just So Stories that rival Rudyard Kipling. You see, amber is quite a preservative, better than a typical fossil, so they have to explain away the lack of change. 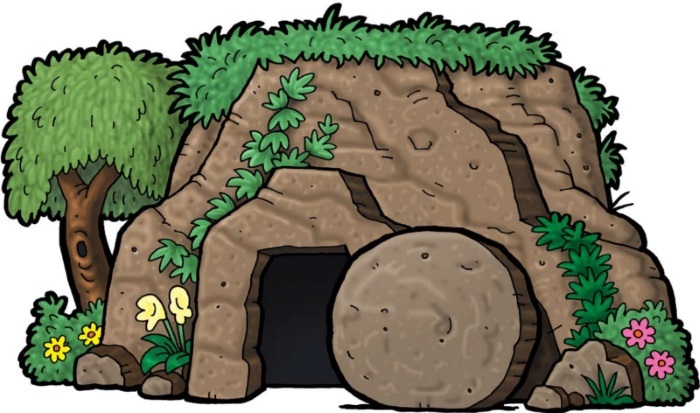 "Stasis" is a non-explanation that buzzes the wrong way for evolutionists' claims, and is just an excuse to get out of admitting that life was created recently. Every now and then one of these ancient giant insects is discovered to be still living today. An example is the world’s largest bee, Megachile pluto, which was recently rediscovered on an Indonesian island. The bee, which grows up to an inch and a half long and has a wingspan of 2.5 inches, is roughly four times larger than a honeybee. Morphologically, it is clearly a bee, and yet it is very different from all of the bees we are familiar with, especially the honeybee. Called a living fossil, it has very large un-bee like mandibles that resemble those of a stag beetle. . .
Reported widely by the press, this find created an interest in the enormous variety of insect life on earth. 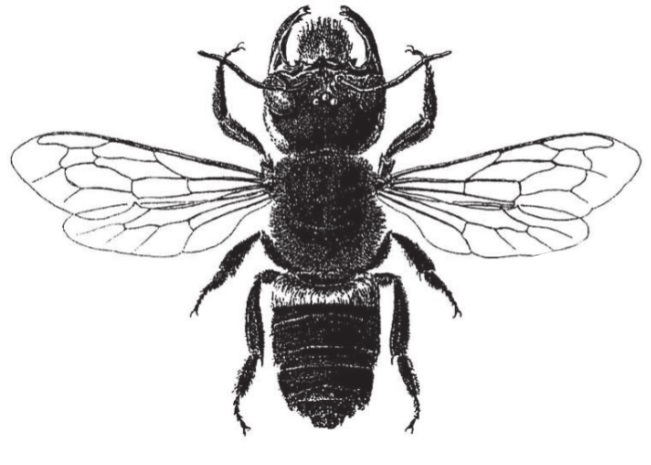 Unfortunately, labels such as “primitive” are often applied by evolutionary scientists and reporters to describe life assumed to have existed eons ago, but this ancient bee was anything than primitive. It had as complex a body and brain as modern insects have. How do we know this? The answer lies in the way they were preserved. To read the entire article, click on "Living Fossil Giant Bee Challenges Evolution". Further development of the continuous environmental tracking (CET) model by the Institute for Creation Research has previously examined how organisms are designed to respond to environmental changes. This is the opposite of Charles Darwin's view and that of his followers. What about adaptation by populations? This model takes an engineering perspective; the Master Engineer designed both individuals and populations to work together in order to solve problems. 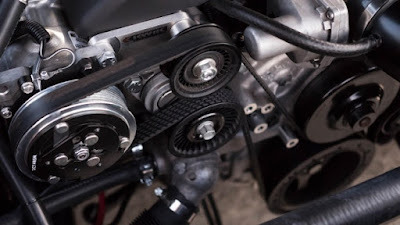 Since they are designed to adapt, there is no randomness involved. Organisms have adapted rapidly, rocking evolutionists back on their heels with exclamations of "faster than we expected". After all, their paradigm requires long ages and slow processes. At the population level, natural selection envisions these organisms locked in mortal competition with each other, with a few individuals emerging victorious at the expense of the rest of the population. They pass on their genes while the “weaker” genes are eliminated. Evolutionary scientists imagine that the survivors were lucky enough to be endowed with superior genes through random mutations. In stark contrast, an engineering-based model would suggest that both the individual and the population are vitally important. Thus, in order to arrive at optimal solutions to environmental challenges, individuals and populations work together in a targeted, non-random approach to problem solving. Such a model has the potential to liberate biologists from the selectionist mindset. What characterizes this mindset? To read the entire article, click on "Engineered Adaptability: New Distributed Problem-Solving Model for Population Adaptation". Hypsilophodon foxii was easy to overlook because it was small. Sure, we get excited about the behemoths because they were big and impressive, but there were others around that may not get as much coverage. Like the big ones, Hypsilophodon and other small dinosaurs were designed by their Creator to survive in their environment. 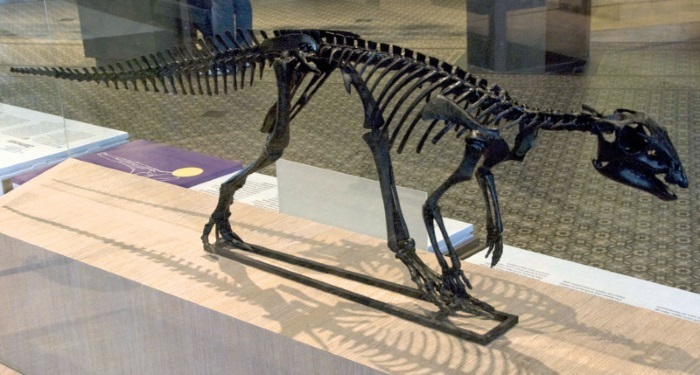 A good deal of what paleontologists describe about creatures from way back when is necessarily speculative, but there are other aspects that make a lot of sense. Some of what we read and hear comes from comparisons with other animals today as well as the way they were built. It isn’t easy being so small, especially if you are only 1.5 feet (0.4 m) tall. Imagine being surrounded by massive long-necked sauropods or herds of Iguanodons. Just one misstep and you’re an instant pancake. Or what about those vicious killers, known as theropods, many times bigger than you and always on the prowl? How does a little guy survive in a land of giants? With some special designs, of course. To read the full article or download the audio version, click on "Hypsilophodon—Least but Not Last". We have seen in several posts that the Big Bang story has been Frankensteined for many years, but it is still deplorable. In fact, efforts to imagine a universe without God (I lack belief that a universe without God can exist) actually defies basic laws of physics. Then there's that pesky antimatter problem. According to the non-science story, there should be a passel of antimatter in the universe equivalent to the same amount of matter (possibly to satisfy affirmative action laws). Good thing this is not the case. 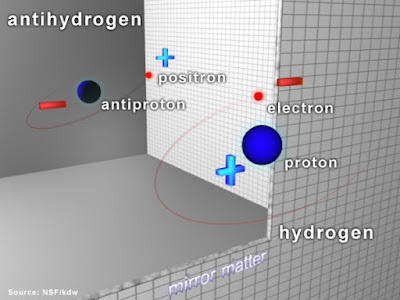 Matter and antimatter collide and release energy. 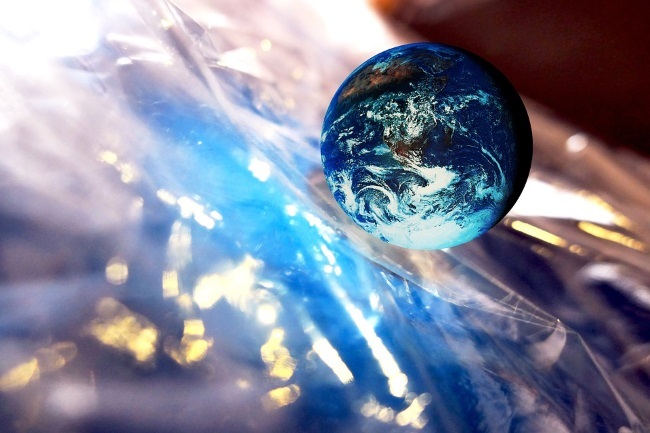 The universe would destroy itself, but scientists cannot detect very much of the stuff at all. Certainly not enough to power a warp core. Some scientists are admitting that the lack of antimatter does not fit their cosmic evolution expectations. Since the narrative is more important than the truth, we are told things like "something happened". Perhaps if they were willing to drop their naturalism for a spell and realize that the evidence shows the universe has a Creator, they may be able to commence doing some useful work. To read the rest, click on "Still No Explanation for Matter/Antimatter Imbalance".